The Forum Theatre plays host to the UK’s largest music competition for Open Mic UK, when the competition visits Romiley as one of its many locations nationwide. The Forum Theatre, Stockport has been managed by NK Theatre Arts since 2003, a registered charity which provides all inclusive performing arts workshops for children, young people and adults. 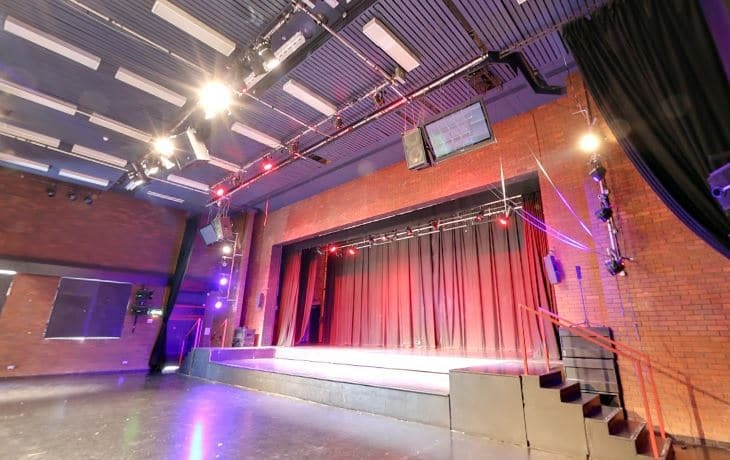 The Auditorium has a varying and versatile capacity, with theatre seating for up to 410 people, cabaret/party set up for 200 people, standing capacity of 500, or the room can be divided for smaller events of up to 100 people. The auditorium which is now painted black, includes ticketing, theatre lighting and sound systems, together with a large projector screen and there is ample room for dressing areas, parking etc with a licensed bar serving both draft and bottled beers and a selection of other alcoholic and non-alcoholic beverages. By showcasing your talent through Open Mic UK, acts will have the chance to perform in front of huge live crowds and industry judges which in past competitions have included DJs who work for Kiss FM, Choice FM and BBC Radio, record labels and celebrity judges with judges getting more prestigious as the music competition progresses. There aren't any planned upcoming auditions at this venue, check back soon!